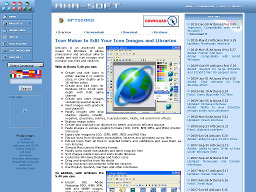 ArtIcons 2.5 ArtIcons 2.5 (652 kb) is a powerful graphic utility that allows professional and amateur graphic artists alike to create and edit icon images and manage icon files and libraries with perfect ease. A great tool for creating buttons and tiny icons or editing smaller graphics. For Win 95/98/ME/NT/2000. 30 day trial with limited icon scanning. Shareware $19.95. IconFinder.net Provides high quality icons for webdesigners and developers. 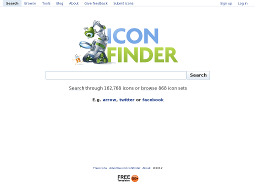 Over 100,000 icons can be searched by keyword or icon set.